Two DNA binding proteins, RAV1 and RAV2 from Arabidopsis thaliana contain two distinct amino acid sequence domains found only in higher plant species. The N-terminal regions of RAV1 and RAV2 are homologous to the AP2 DNA-binding domain (see ) present in a family of transcription factors, while the C-terminal region exhibits homology to the highly conserved C-terminal domain, designated B3, of VP1/ABI3 transcription factors (PUBMED:9862967). The AP2 and B3-like domains of RAV1 bind autonomously to the CAACA and CACCTG motifs, respectively, and together achieve a high affinity and specificity of binding. It has been suggested that the AP2 and B3-like domains of RAV1 are connected by a highly flexible structure enabling the two domains to bind to the CAACA and CACCTG motifs in various spacings and orientations (PUBMED:9862967). Two DNA binding proteins, RAV1 and RAV2 from Arabidopsis thaliana contain two distinct amino acid sequence domains found only in higher plant species. The N-terminal regions of RAV1 and RAV2 are homologous to the AP2 DNA-binding domain (see IPR001471) present in a family of transcription factors, while the C-terminal region exhibits homology to the highly conserved C-terminal domain, designated B3, of VP1/ABI3 transcription factors [(PUBMED:9862967)]. 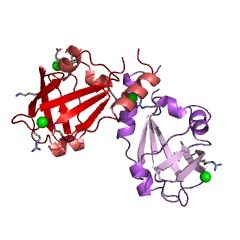 The AP2 and B3-like domains of RAV1 bind autonomously to the CAACA and CACCTG motifs, respectively, and together achieve a high affinity and specificity of binding. It has been suggested that the AP2 and B3-like domains of RAV1 are connected by a highly flexible structure enabling the two domains to bind to the CAACA and CACCTG motifs in various spacings and orientations [(PUBMED:9862967)]. 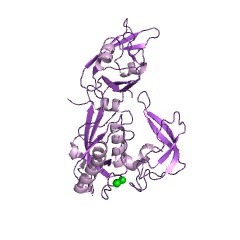 This entry represents the B3 DNA binding domain. Its DNA binding activity has been demonstrated [(PUBMED:9165754)]. 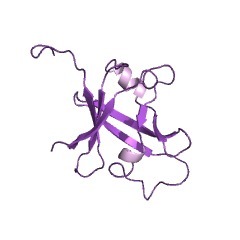 The B3 domain can be found in one or more copies. There are 17114 B3 domains in 11617 proteins in SMART's nrdb database. Taxonomic distribution of proteins containing B3 domain. This tree includes only several representative species. The complete taxonomic breakdown of all proteins with B3 domain is also avaliable. Click on the protein counts, or double click on taxonomic names to display all proteins containing B3 domain in the selected taxonomic class. RAV1, a novel DNA-binding protein, binds to bipartite recognition sequencethrough two distinct DNA-binding domains uniquely found in higher plants. We have cloned and characterized two novel DNA binding proteins designatedRAV1 and RAV2 from Arabidopsis thaliana. RAV1 and RAV2 contain twodistinct amino acid sequence domains found only in higher plant species.The N-terminal regions of RAV1 and RAV2 are homologous to the AP2DNA-binding domain present in a family of transcription factorsrepresented by the Arabidopsis APETALA2 and tobacco EREBP proteins, whilethe C-terminal region exhibits homology to the highly conserved C-terminaldomain, designated B3, of VP1/ABI3 transcription factors. 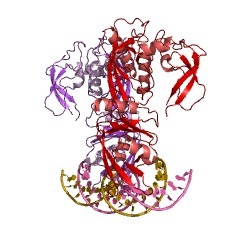 Binding siteselection assays using a recombinant glutathione S-transferase fusionprotein have revealed that RAV1 binds specifically to bipartiterecognition sequences composed of two unrelated motifs, 5'-CAACA-3' and5'-CACCTG-3', separated by various spacings in two different relativeorientations. Analyses using various deletion derivatives of the RAV1fusion protein show that the AP2 and B3-like domains of RAV1 bindautonomously to the CAACA and CACCTG motifs, respectively, and togetherachieve a high affinity and specificity of binding. From these results, wesuggest that the AP2 and B3-like domains of RAV1 are connected by a highlyflexible structure enabling the two domains to bind to the CAACA andCACCTG motifs in various spacings and orientations. The conserved B3 domain of VIVIPAROUS1 has a cooperative DNA bindingactivity. The biochemical activities that underlie the genetically defined activatorand repressor functions of the VIVIPAROUS1 (VP1) protein have resisted invitro analysis. 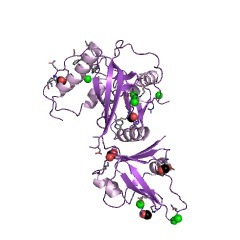 Here, we show that a glutathione S-transferase (GST)fusion protein, including only the highly conserved B3 domain of VP1, hasa highly cooperative, sequence-specific DNA binding activity. GST fusionproteins that include larger regions of the VP1 protein have very lowactivity, indicating that removal of the flanking protein sequences isnecessary to elicit DNA binding in vitro. DNA competition and DNase Ifootprinting analyses show that B3 binds specifically to the Sph elementinvolved in VP1 activation of the C1 gene, whereas binding to theG-box-type VP1-responsive element is of low affinity and is nonspecific.Footprint analysis of the C1 promoter revealed that sequences flanking thecore TCCATGCAT motif of Sph also contribute to the recognition of the Sphelement in its native context. The salient features of the in vitro GST-B3DNA interaction are in good agreement with the protein and DNA sequencerequirements defined by the functional analyses of VP1 and VP1-responsiveelements in maize cells. 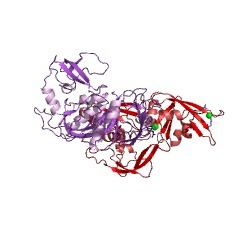 ARF1, a transcription factor that binds to auxin response elements. The plant hormone auxin regulates plant physiology by modulating theinteraction of transcription factors with auxin response elements (AuxREs)of the affected genes. A transcription factor, Auxin Response Factor 1(ARF1), that binds to the sequence TGTCTC in AuxREs was cloned fromArabidopsis by using a yeast one-hybrid system. 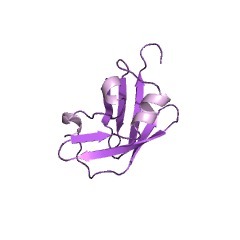 ARF1 has an amino-terminalDNA-binding domain related to the carboxyl terminus of the maizetransactivator Viviparous-1. Sequence requirements for ARF1 binding invitro are identical to those that confer auxin responsiveness in vivo. 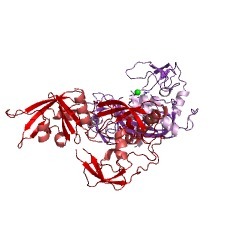 Thecarboxyl terminus of ARF1 contains two motifs found in the Aux/IAA classof proteins and appears to mediate protein-protein interactions.